Qingdao is making efforts to accelerate the building of world-class ports, well-established marine industries and a sustainable marine environment, said Meng Fanli, mayor of the city, during the ongoing annual session of the National People's Congress in Beijing. "The economic history of the world shows the trend that people move from inland to coastal regions, to go overseas and achieve prosperity," Meng said. "That is an important reason why China has paid more attention to the marine economy to build China into a maritime power," he said. "Qingdao, as a major coastal city, has its unique advantages to develop into a strong marine city." 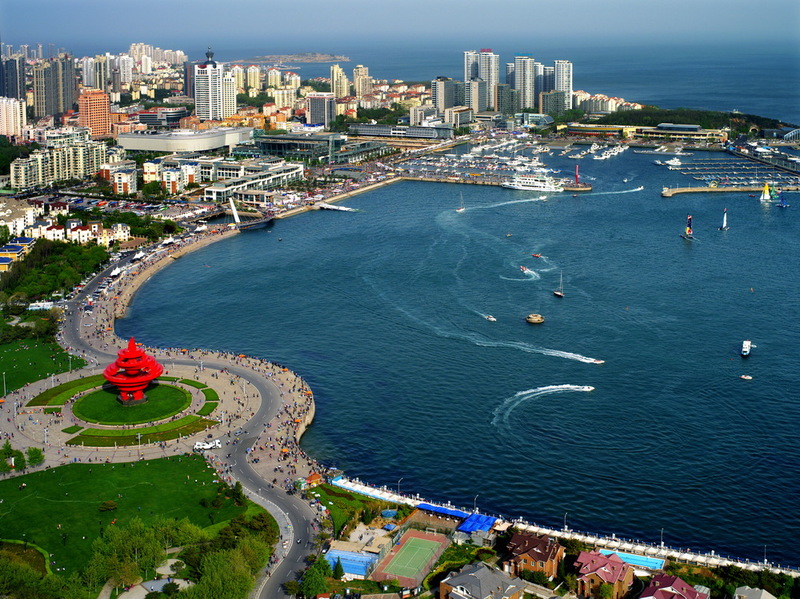 A major city in East China's Shandong province, Qingdao boasts an 817-kilometer-long coastline, comprising 120 islands and 49 bays, and covers a maritime area of 12,240 square kilometers. Jiaozhou Bay, the largest among them, is home to more than 100 species of fish. The city also has an extensive shipping network with 177 ports across the world, thanks to its natural deep-water harbor. The city also is at the forefront in marine science and technology and home to more than 30 percent of China's universities and research institutes, 50 percent of its researchers and 70 percent of top experts and academicians in the fields of marine science and technology. There are universities, research institutes, and a national laboratory on marine science and technology in Qingdao, including the Pilot National Laboratory for Marine Science and Technology, National Deep Sea Center, and the Center for Ocean Mega-Science of the Chinese Academy of Sciences. More national high-tech facilities, including research vessels, offshore experiment platforms and manned submersibles, are being built in the city. Meng said that there is, however, still a long way to go to increase the high-quality growth of the marine economy. In 2017, the total output value of the marine industry in Qingdao was 290.9 billion yuan ($43.3 billion). The city is expected to increase it to 500 billion yuan by 2022, contributing 31 percent of local GDP, up from the current 26.5 percent. The commercialization of marine innovative technology is crucial, added the mayor. The government encourages local research institutes to bring more technology products to market, expecting to commercialize about 15 percent of marine technologies by 2022. The government also is stepping up efforts to give better policies for startups and research teams and attract expertise globally to the city, Meng added. "We will simplify administrative procedures, so that researchers can be able to focus on their work and research," he said.